Reporting– and analysis-tools for Food Factories: why wait? 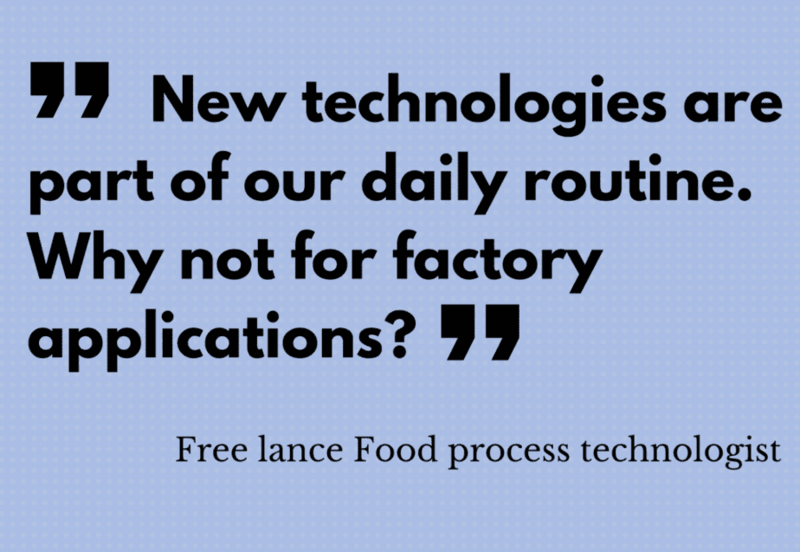 This process technologist is surprised that food factories make only limited use of tools for analyzing and reporting factory data. These so-called Business Intelligence (BI-) tools, however, have been common use for quite some time now in Marketing, Finance and Logistics. They are used for reporting, charting, mapping, trending and analyzing markets, consumer behavior, financial results and logistic flows. The outcomes are used to define strategies, set priorities and make decisions. Although the same principles apply to factory information systems, somehow most food factories don’t have yet a plant information system in place. New technologies enable us to unlock factory data and to combine them with other data, such as product quality information, batch- and production order information, cost price information, or any other type of data. This is right where applications for Industry 4.0 or Smart Factories come in. Do we sufficiently realize that insight from data more than pays itself back? Why should this be different for factories than for other domains where data collection and analysis provide us with valuable insights? The answer is obvious: of course factories gain as much benefits from data collection and data analysis as Finance, Marketing or Logistics. Benefits like better decisions and process improvements for instance. Think of improved process settings, timely adjustment of processes in case of deviations, the reduction of downtimes, a better understanding of the production processes which helps to prevent rejected batches, a better understanding of calculated and actual cost prices, etc. In short: we could prevent many crises and actually start reducing costs if all those involved in production and quality would gain a better understanding of the capabilities of their production processes and its interdependencies. And still…… only few factories are actually implementing this type of information systems to its full extent. Why? The process technologist I quoted earlier, says it doesn’t make sense. To him, its perfectly clear that he and his fellow process technologists can achieve substantial savings if they gain a better insight in process trending, as well as interdependencies between processing conditions, process settings and end-product quality. He also knows that process operators can prevent rejected batches if they would get “smart” notifications, indicating that corrective action is required. A SCADA system cannot in all cases detect these indicators. After all, a SCADA system does not include quality specs of raw materials, processing conditions (like for instance temperature) or end-product quality. His fellow quality engineers can save much time on investigating complaints, tracking & tracing and audits. And still, it turns out difficult to convince the management team to implement an information system for the factory. For the management team asks him to come up with a compelling business case with a reliable estimate of savings. In other words: how (soon) will this investment be earned back? And here’s the point: the exact financial benefits from the insights of such an information system cannot be predicted. This is inevitable and obvious: it concerns NEW insights that will create the savings, so it does not relate to the things that we DO KNOW, but to the things that we DO NOT KNOW. How can you build a business case on things that you DO NOT KNOW? We DO know how much off-spec and rejected batches we produce. And – in most cases – we have a rough estimate on the total cost of downtime. We know we waste a lot of time with searching and re-typing information. We may have a clue how much can be gained by increasing processing speed, or decreasing processing time. But….. we cannot predict that a factory information system can solve all this for 100%. Not even for 50%. This implies another approach for this type of investments: not a business case with exact figures, but a vision. That’s all it takes. A firm belief that it is valuable to have information about the temperature trends of a batch in our factory, just as easy as the temperature in Tokyo. Driven by the strong conviction that – just like for Finance, Marketing and Logistics – a good information system for the factory always offers substantial pay-offs. This is similar to how investments in ERP (enterprise)-software are handled. Nobody expects exact calculations of the pay-back for SAP or Infor implementations. We are simply convinced that it is essential for a professional company to have this kind of systems in place. When does factory management begin to realize that this also applies to factory information systems? I am interested in experiences of other professionals on this topic.